To the immortal memory of the 556 men of the South Eastern and Chatham Railway who fought and died for their country in the Great War, 1914 – 1918. Let those who come after see that their names be not forgotten. 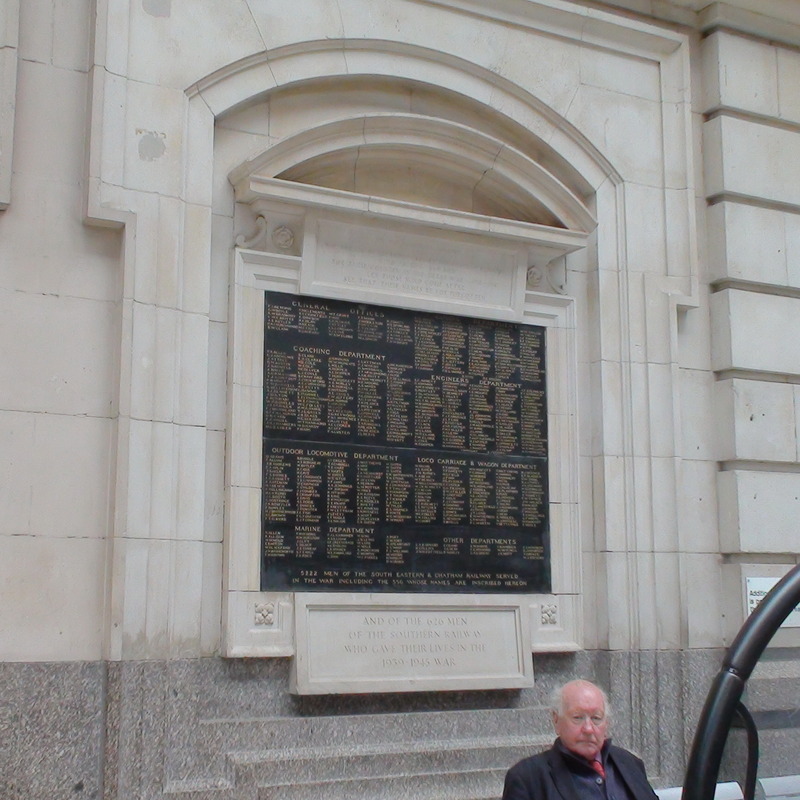 5222 men of the South Eastern & Chatham railway served in the war including the 556 whose names are inscribed hereon. And of the 626 men of the Southern Railway who gave their lives in the 1939 – 1945 war. The names are grouped by department: General Office, Coaching Department, Good Department, Engineers Department, Outdoor Locomotive Department, Loco Carriage & Wagon, Marine Department, Other Departments. The phrase "Let those who come after see that their names be not forgotten" sounds like a quotation but we can't find the source. Unusually this memorial also mentions the men who served and survived WW1. Until after WW1 this station was home to two railway companies so it has two war memorials, which we’ve denominated as 'east' and 'west'. 626 men of the Southern Railway who died in WW2.